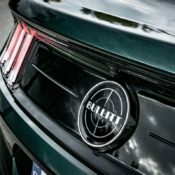 The special edition Ford Mustang Bullitt, deemed to be one of the coolest versions of the modern Mustangs, will git the UK market in September. 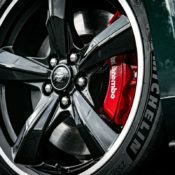 Available in limited numbers, the movie-inspired muscle car will start from £47,145, which is not bad considering the badge, the engine, and the amount of kit you get as standard. 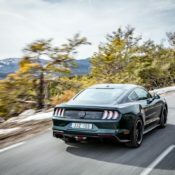 Paying homage to the Bullitt movie in its 50th anniversary, the 2019 Ford Mustang Bullitt is based on the range-topping 5.0 GT model with 460 horsepower. 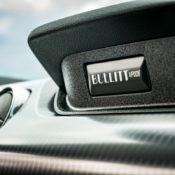 The car comes exclusively with a six-speed manual transmission featuring a rev-matching system that blips the blips the engine on downshifts. It’s a nice setup, but what attracts most people to this version of the ‘Stang is the looks. 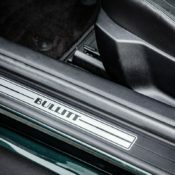 Ford Mustang Bullitt comes with the options of Dark Highland Green which is an interpretation of the same green featured on Steve McQueen’s Mustang in the movie, unique exterior front grille, splitter and rear Bullitt badge, 19” Bullitt High-gloss black finish five-spoke alloy wheels, red Brembo calipers on the front and rear, Recaro leather seats with green detailing feature, alongside Bullitt instrument panel badge with unique chassis number. 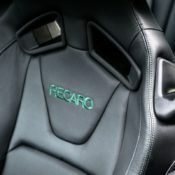 There is also green stitching throughout the cabin, and you get a 1,000 watts, 12-speaker B&O PLAY audio system. 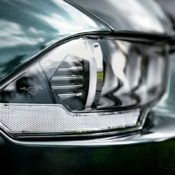 Ford Mustang Bullitt is making its UK debut with a static appearance at the American Speedfest show this weekend at Brands Hatch. 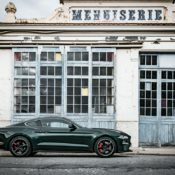 The post 2019 Ford Mustang Bullitt Priced from £47,145 in the UK appeared first on Motorward.